Local EMS agencies gathered at the County Commissioners’ office to sign the annual EMS Proclamation that designates the week of May 17th as Emergency Medical Services week. In coordination with local, state, and national events, this week recognizes the men and women who provide an excellent service around the country. 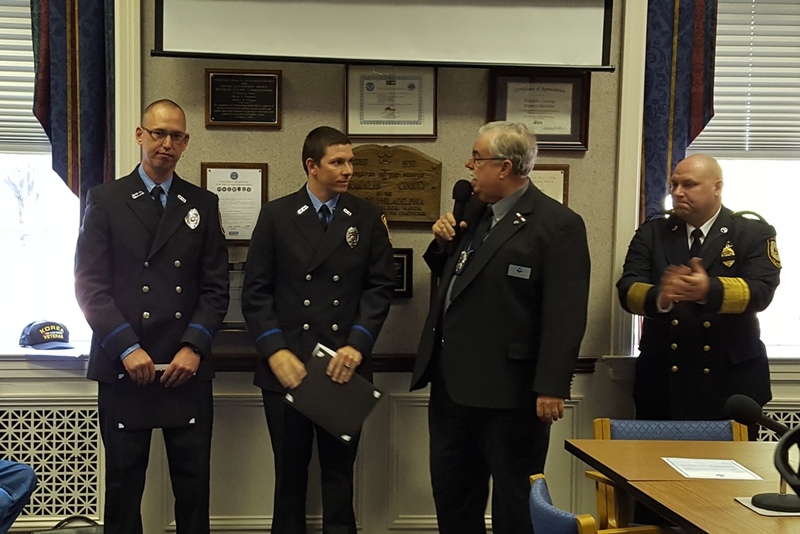 Chambersburg Fire Department's own, FF/EMT Marshall Warden and FF/EMT Jeremy Heckman were recognized with the Department of Health's Clinical Save Award presented for their life saving efforts last October. Congratulations to both. 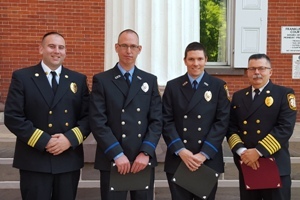 Firefighters Heckman and Warden successfully administered CPR and AED to bring a patient in cardiac arrest back to life. The patient was released from the hospital weeks later with no significant side effects.